Cozy has collaborated with Experian RentBureau to help renters build their credit history just by paying their rent! If you choose to use Rent Reporting, we’ll send your Cozy rent payment history (including past payments) to Experian RentBureau, and they’ll be added as a new tradeline on your Experian credit report. That tradeline may be factored into your credit score. You'll just need to enter your legal name and date of birth and confirm your rental unit details to get started. You can also stop reporting your rent at any time. If you turn off Rent Reporting before the end date on your lease, the Cozy tradeline may be deleted from your Experian credit report. 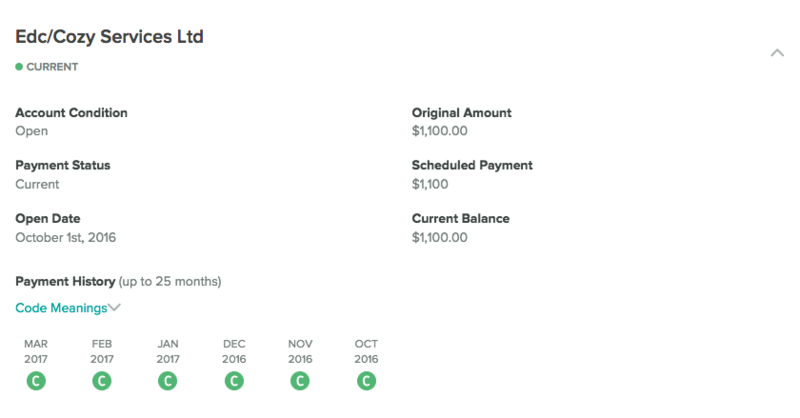 If you skip paying through Cozy for a month, your report will show "No Activity" for that month. That means if you want to pay outside of Cozy for a month — that's okay. It wouldn't be treated as a late payment on your credit report. Credit history built through Cozy and Experian RentBureau shows up on Experian credit reports. If you need to dispute the rental information reported on your credit report, please email creditdispute@cozy.co. You can also send us an email if you'd like to remove the Cozy tradeline from your Experian credit report for any reason.